Our tissue paper confetti is the secret ingredient for instant cheer! Toss it in the air, sprinkle it across your tablescape, or add a dynamic flair to your occasion. 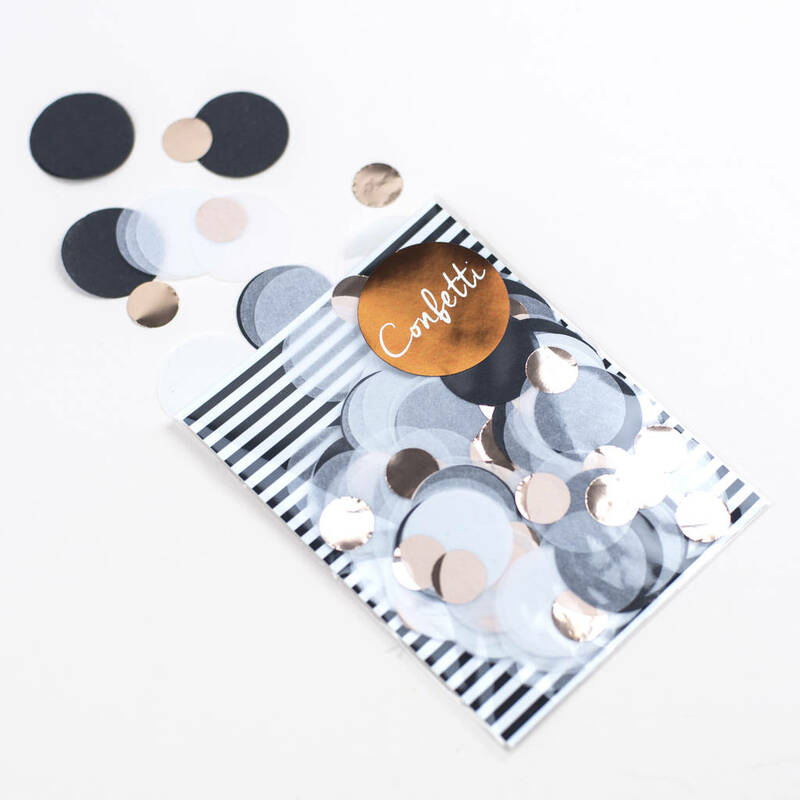 A glamorous blend of White & Black tissue paper with a stunning rose gold pieces foil pieces. 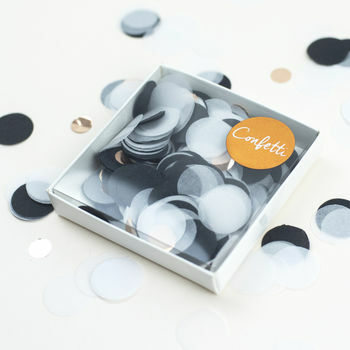 This confetti is placed in either a cello bag or a white high quality cardboard box with a crystal clear lid. Each Pack (single serving) contains approx 14g of confetti. Each Box contains approx 28g (1oz) of confetti. Black, White and Mettallic rose gold.